I Posed because I Believe in Being a Leader! I was tired of all the HATE towards Muslims, and kids being bullied at school who can't get a good education because of it. I realize that you will not stop HATE entirely, but we can make people more aware of it. And if people would only educate themselves then they just might learn to understand other's religious beliefs and leave them alone. Furthermore it's wrong to call muslims "terrorist" because it doesnt matter what color, religion, or what culture background you come from its all over; it can be ANYBODY. My son was taunted by kids at school because of my religion, and I stepped up and put a STOP to it. This is something that us parents must learn to do to help our kids and protect them. No child should have to go to school and be bullied for any reason. Parents need too step up and attack the problem before it gets out of hand. I firmly believe that "people are afraid of what they don't understand." Also HATE is taught in the homes, and parents need to teach their children the rights and wrongs of HATE. So in the long run, parents are responsible for how today's kids are. If you grew up in a family of hatred, then it's up to you TO CHANGE THAT. I'm a Muslim, and I'm proud of it. But don't judge me because of it; there is both GOOD and BAD in all people, and all cultures. Too many want to blame a beautiful religion like Islam. I am a beautiful person and I thank Allah for that, because he made me this way. 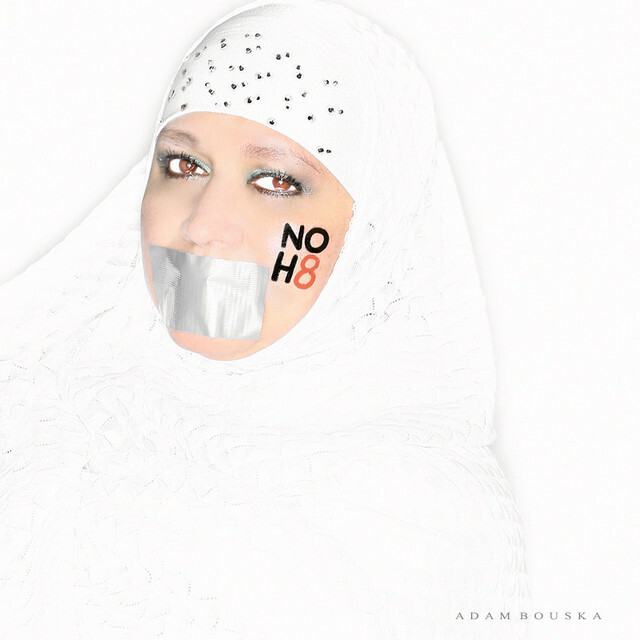 Understand that I am not in this for the equality, because the NOH8 Campaign goes BEYOND that.